The Lindale Black Tan II is a Women's casual shoe built for utility and style. 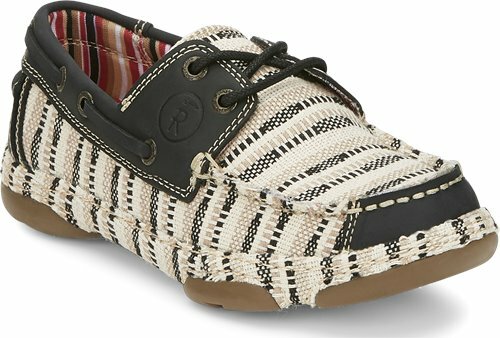 Its classic cream and black striped canvas exterior features a charcoal leather collar with leather laces and panels on both the toe and heel. The classic structure is durable to everyday wear and tear and the rubber outsole provides traction and the cushioned insole guarantees comfort and a relaxed fit for running errands or lounging around the house. I am an 8.5 I got a 9. They fit but my toes felt a bit cramped so I sent them back and got an 9.5. Still waiting on them to arrive. Very comfortable. I could where these everyday!